HOULTON — Katahdin Trust recently announced the promotion of Krista K. Putnam to senior vice president of marketing. In her new role, she will continue to oversee all areas of marketing and advertising including communications, brand strategy, contributions, and public relations efforts. She will assume additional management responsibilities including serving on the bank’s Senior Management Team. Putnam has more than 15 years of bank marketing experience, joining Katahdin Trust in 2003 as marketing assistant. In 2008, she was promoted to marketing officer, in 2012 to assistant vice president of marketing, and in 2015 vice president of marketing. A Washburn native, Putnam graduated from Husson University where she attained her B.S. in Business Administration and has earned her Bank Marketing Diploma and General Banking Diploma from the Northern New England Center for Financial Training. 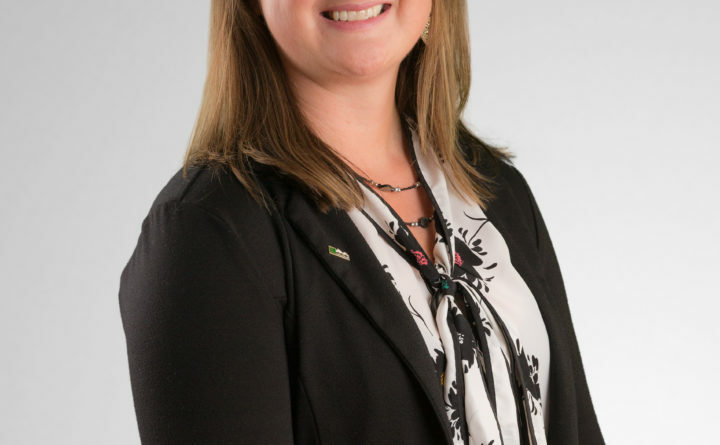 She is also a graduate of the American Bankers Association’s School of Bank Marketing & Management, Northern New England School of Banking, the Young Professionals Institute, and holds a Certified Financial Marketing Professional designation. Katahdin Trust Company, celebrating 100 years of community banking since its founding in 1918 and recently named as one of the 2018 Best Places to Work in Maine, has more than $800 million in assets and 180 employees. The Bank offers financial services to individuals and businesses from 16 full-service branches in Aroostook County and the greater Bangor and Portland Regions with a suite of digital banking solutions. Learn more about Katahdin Trust on its website at www.katahdintrust.com and get the latest news and information by following Katahdin Trust on Facebook, Twitter, LinkedIn, and Instagram.